Bobby Rydell has it all - good looks, fame and talent to spare. He was the real American teenage idol. 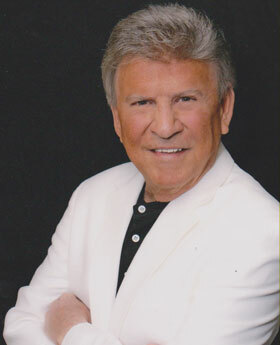 Bobby Rydell's career spans six decades and encompasses every area of entertainment. His debut in the late fifties as a rock n roll teen idol lead to starring roles on such hit films as 'Bye Bye Birdie' and plays such as 'West Side Story'. Bobby has made countless network television appearances throughout the world on shows such as Ed Sullivan, Jack Benny, George Burns, Milton Berle, Perry Como, American Bandstand and Brian Henderson's Bandstand. Working with the greats of comedy Bobby was able to develop an uncanny feel for comedy. Bobby has earned a reputation as a classic performer. He is a superb singer whose voice has matured over the years and he has proven to be an outstanding drummer, an agile dancer and an extremely fine actor, with an unsurpassed knack for comedy. A polished performer at the age of 19 Bobby was the youngest person to headline the famous Copacabana in New York. Bobby's recording career earned him 34 top forty hits placing him in the top five artists of the era. Bobby's hits include million selling singles 'Volare', 'Wild One', 'We Got Love', 'Kissin Time', 'Swinging School' and 'Forget Him', selling a total of more than 25 million records. Today Bobby enjoys a busy schedule throughout the world as a headline performer. Australia has welcomed him for 20 tours and he remains a favourite performer. Bobby also performs regularly in Las Vegas and Atlantic City. For the past 25 years he has also performed on hundreds of shows with Frankie Avalon and Fabian, known as the Golden Boys. Of all the teen idols of the day, the singing of Bobby Rydell was unquestionably the most polished. Bobby Rydell's influence on popular music has been quite profound. When the producers of the world's largest selling movie soundtrack album, 'Grease', wanted to pay tribute to the era in which it was set they named the school where most of the action took place as Rydell High. The teen idol, now a seasoned performer, continues to sell out shows throughout the world. 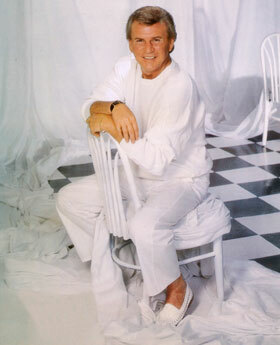 Without any doubt Bobby Rydell is a true American music icon.